This is our church's database. It's how we can communicate with you! And it's important for you to create a log in and password so you feel connected. 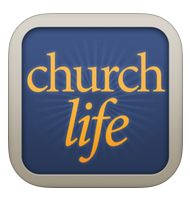 Access McLane Helps You Stay In Touch With Life At McLane Church. In order to receive occasional texts from the church (we promise not to spam you!) about special announcements and information you request from McLane, we need you to "opt-in" to the service. Access McLane is a web portal to the McLane Church database. To get started with the system, you need a login. This video will walk you through the process of setting up your account!